It was at least 30 years ago when I last visited Last Stand Hill. It hasn’t changed that much. It is still extremely hot. It’s still a tall hill in a series of hills overlooking a fairly insignificant river. It still has a memorial on top. It wasn’t the same because I have changed. America has changed. And history has been much kinder to all the participants of the events that happened at the Battle of the Little Bighorn, an amazing victory for the Plains Indians and a stunning defeat for the US 7th Cavalry. 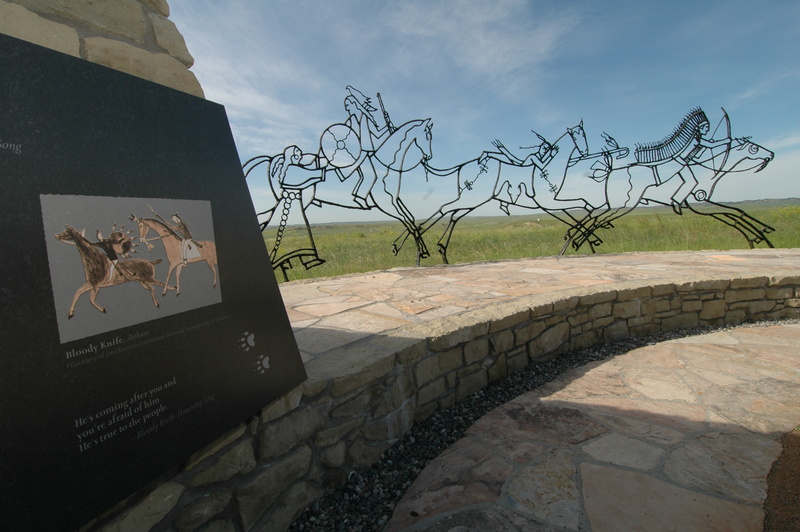 In the years since I was last at Little Bighorn National Monument (originally known as Custer Battlefield National Monument and changed by a law signed by President George HW Bush in 1991), historians have done a lot to correct what had been written about those who fought that day. Stephen Ambrose, one of America’s greatest historians, has written an amazing book about two of the most significant leaders. Custer & Crazy Horse is a powerful book doing a lot to give Crazy Horse a lot more of the responsibility for the success of the battle (downplaying some of the role given over the years to Sitting Bull), and showing that George Armstrong Custer was not an egotistical alcoholic who stupidly rode into his death. Interestingly, the park ranger who told a riveting account of the battle that day, did the same. He was a Native American, and his told his story in an easygoing and relaxed way. We sat facing Last Stand Hill, where Custer fell on that fateful day in 1876. As he spoke, he showed us where the 7,000 Sioux, Arapaho, Crow, and other Indians made camp on the banks of the Little Bighorn River. He pointed to the distant mountains, where Custer and his woefully unprepared men first sighted them and where they quickly moved into position, hoping to end the fight quickly. What he said, and how he said it, was so powerful that it actually moved me to tears. What a horrific day in history. People being forced to fight because of broken promises and the lure of gold in their sacred Black Hills. An army called into force them to a reservation with not enough men, not enough intelligence, and bad directions–not from Custer himself, but from his direct superiors. It was just a disaster waiting to happen. And it did. There are markers all over the battlefield marking where soldiers fell that fateful day. It’s sad, actually, to see them. They are mostly scattered, evidence that the soldiers were running for their lives. 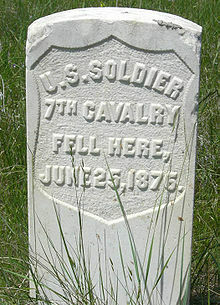 In small pockets, especially at Last Stand Hill, there are groups where the men of the 7th Cavalry fought desperately to stay alive. 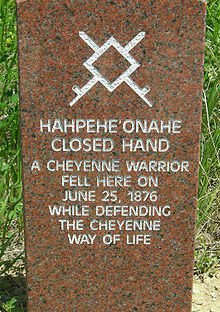 Sadly, there are only a few of the red stone markers, showing where the Warriors (what the Ranger referred to the Native Americans who fought at Little Bighorn called them, and aptly fitting, I thought) fell. According to our Ranger, this is because many of their families still don’t want to recognize their part in Little Bighorn. 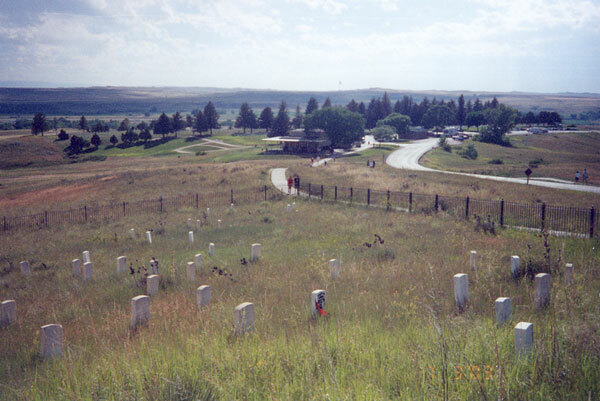 As he spoke of it, reluctantly, there are still battles being fought at Little Bighorn. Battles between families, battles between Indian nations, battles between people who should have learned from the events of so many years ago. Something else has changed at Little Bighorn since I was there so many years ago. Now, it is clear that it’s no longer a memorial to the soldiers who died there. It’s now a memorial to all who died in a horrible battle over whose way of life was “right.” Slightly below the memorial on Last Stand Hill is a new memorial. Carved into the earth, it’s a memorial to the many warriors who also died that day. Some of their names are listed, others are still lost to history. Forty Years ago I fought Custer till all were dead. I was then the enemy of the Whitemen. Now I am the friend and brother, living in peace together under the flag of our country. 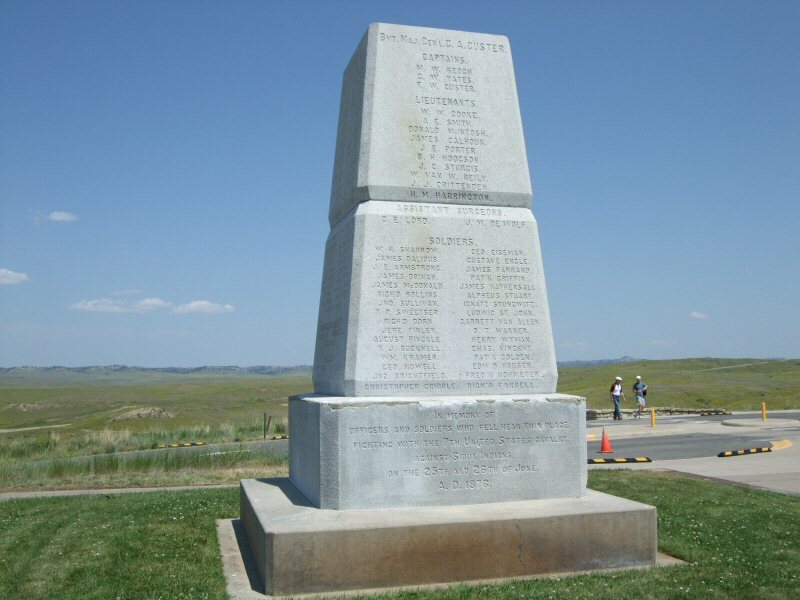 If you happen to make it to the southeastern corner of Montana, visit the memorial. Hear the stories, and be reminded of the tragedy that comes when we forget that God created us to live in peace.